The 4-star 'City Hotel Kaiserhof' is the ideal starting point for your business or private enterprises, you reach on foot or with the public transportation the shopping quarters of Offenbach, cultural institutions and all big enterprises. You reach Frankfurt within 8 minutes, the exhibition centre in Frankfurt within 17 minutes, the fair Offenbach on foot at only 7 minutes. 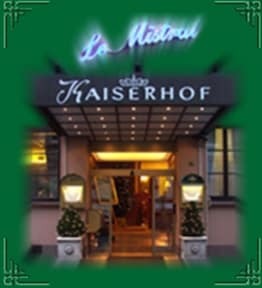 The airport of Frankfurt is only 12 km away from the 'City Hotel Kaiserhof' of Offenbach. To the central station there are only few steps on foot, for drivers there is a parking site just opposite the hotel (Kaiserstrasse) that offers enough space to park your car safely. Our 70 rooms dispose of minifridge, shower / WC with hairdryer, cable television, phone, WLAN access and desk. 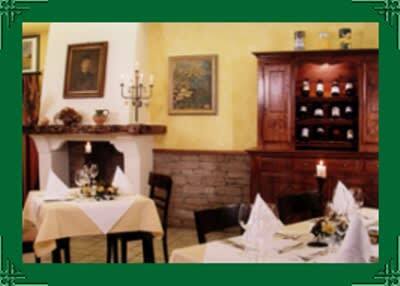 Our restaurant 'Le Mistral' offers you German and international culinary strap and tasty courts for every taste. The property isn't located directly in Frankfurt City so the tourists do not have to pay a new city tax (€2 per person per night). You can cancel your reservation free of charge up to 48 hours prior arrival date. In case of a late cancelation or no-show we will charge your credit card with the first night fee. For fair periods different conditions apply.